The National Board of Revenue (NBR) has sought the support of Bangladesh Bank (BB) and Bangladesh Securities and Exchange Commission (BSEC) to realise its due value added tax (VAT) worth Tk 2015 crores from Grameenphone, a company enlisted with the stock exchange. A letter has been issued to the Bangladesh Bank and BSEC, said Matiur Rahman, the commissioner from Large Taxpaying Unit (LTU). 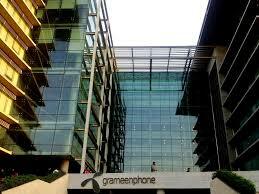 Rahman said that Grameenphone has a due amount worth over Tk 2015 crores and the company has lost the legal battle. Hence, they are to pay the amount, opined the commissioner. The commissioner also said that being an enlisted company, Grameenphone should keep a provision in the financial report or they may pay the investors as the dividend. This is the key reasons to seek support from BSEC. Bangladesh Bank (Central Bank of Bangladesh) has been informed so that Grameenphone could not send the revenue amount as remittance in abroad, added the LTU commissioner. The payable tax is deducted from profit which needs to be shown as a provision the financial report of the company.